Step by step guide for exporting WSPRnet data to Microsoft Excel for charting. Graphing history of WSPR pings from the WSPRnet database. Below are three effective techniques for exporting WSPRnet data to Microsoft Excel for charting, sorting and or archiving WSPR data. Example of WSPR data has been graphed using Microsoft Excel to compare two antennas. 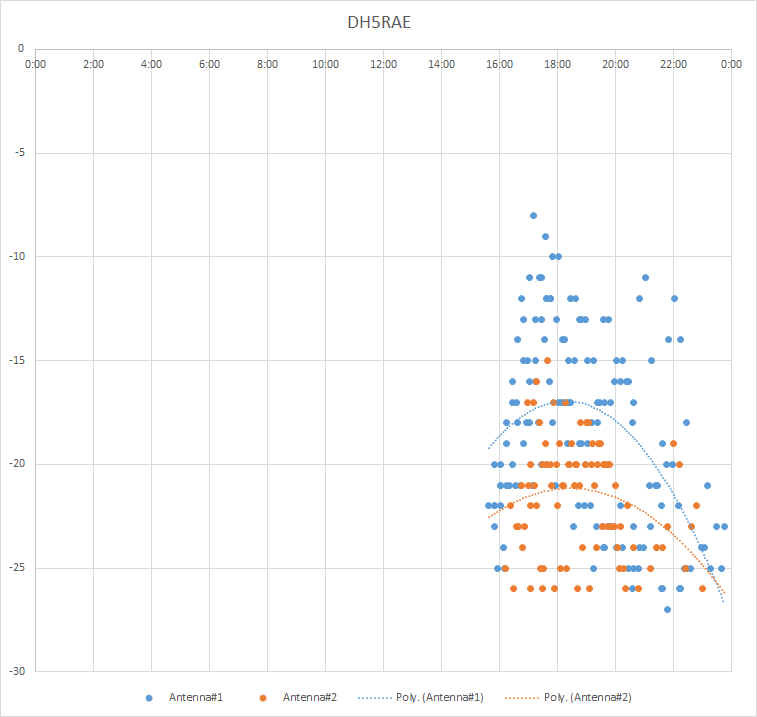 Horizontal axis = UTC Time, Vertical axis = dB below the noise floor. All content may be used for unlimited distribution with credits. This site has been designed to cater for 800 x 600 resolution. Site is best viewed with Internet Explorer 5.5 or Netscape 6 or higher.